CNN Focus group didn't like President Obama arguing with Candy over time. #CNNUndecideds. Dems out first in the spin room. Romney and Obama both inching closer to Candy Crowley, as they answer. 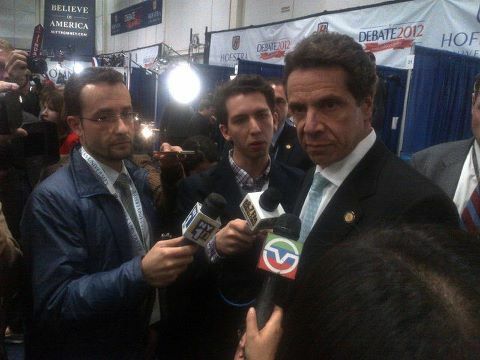 Pres Obama felt a responsibility to challenge @MittRomney for statements + details - David Axelrod in spin room. The second debate tonight starts just under a half hour from now: former Rep. Jay Inslee, a Democrat, and Attorney General Rob McKenna, a Republican, go head to head to head. They're running to be governor of Washington state. But CNN and the CNN Political Ticker has live reaction to the heated Obama-Romney faceoff and reality checks to the candidates' claims. no i said women saw 2 jocks going at each other.MT @theWritetoThink: You just equated women's reflection to which jock turns them on more? As Mitt Romney explained, "I went to a number of women's groups and said, 'Can you help us find folks,' and they brought us whole binders full of women." Now Jim Acosta in the GOP spin room, talking with Gov. Bobby Jindal, in his first appearance in a post-debate spin room. Live now on CNN. #libya question worth longer than twitter dig. @BarackObama did use "terror" day after. However, admin blamed video and protest for days. "There's so much at stake, there's so little time," says Crowley. "There's this kind of balance you're trying to strike." Candy said she was most surprised at how fast the time flies during the debate. Candy Crowley was the first female presidential debate moderator in 20 years. Sitting on the stage, Candy said she didn't feel like there was personal animosity between the two candidates, but an "urgency vibe." "Sitting on stage, I didn't feel it was personal animosity," says Candy Crowley. "I didn't get this whole kind of 'we hate each other vibe.'" 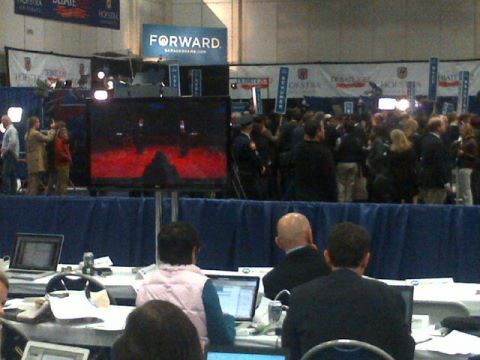 Jessica Yellin now has "Mitt Romney" in the spin room. Well, John Kerry, who played Mitt Romney. What does he think? Live now on CNN. It appears Obama by a lot was the big winner with our commenters. A big change from the last time. "I think the president overwhelmed Mitt Romney tonight," says Sen. John Kerry, who aided Obama's preparations by standing in for Romney during mock debate sessions. "On taxes, the president made it clear that Mitt Romney's tax plan does not add up.... Mitt Romney keeps insisting that he says it won't increase the deficit, it won't.... You just can't trust this guy." We'll have the results of the post-debate poll coming up very soon - should be interesting.